Core Bits Allow Drilling Through Concrete, Granite, Engineered Stone And More. 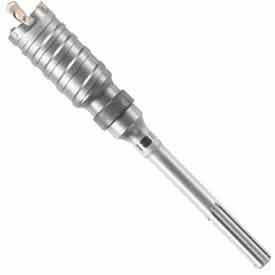 Core Bits feature a hollow center to create cored cuts in a variety of materials. Bit material, sizes and package quantities vary per model. Core Bit Adapters and Core Bit Extensions (sold separately) securely hold core bits and lengthen usable drilling reach for deeper coring. Core bits are available from a variety of trusted brand names.